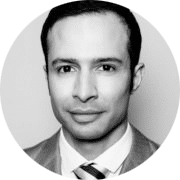 Dr Simon Ravichandran is a Key Opinion Leader in Aesthetic Medicine, Specialising in non surgical facial treatments with ZO Skinhealth and ZO Medical, Botox, Dermal Fillers, Thread Lifts, chemical peels and lasers. Originally Simon trained as an ENT surgeon in Glasgow until he retired from NHS practice to commit himself full time to the development of aesthetic medicine. He co-founded the Clinetix Medispa group in 2010 and is the co founder and chairman of the Association of Scottish Aesthetic Practitioners. He is an internationally recognised lecturer and educator of aesthetic medicine, known for his enthusiasm and passion when teaching. He has been a faculty member on numerous post graduate education programs and has lectured and demonstrated in North America, South America and throughout Europe and the UK. Dr Simon Ravichandran co-runs a successful aesthetic medicine training program in Scotland which delivers a series of courses in Aesthetic Medicine for Doctors, Dentists and Nurses to develop their skills and knowledge.